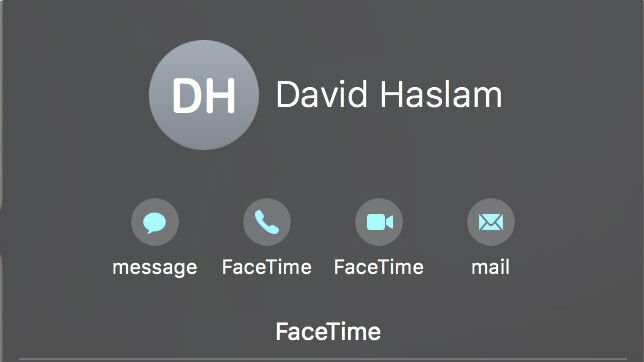 Here’s How to use FaceTime on Mac, and what to do when FaceTime isn’t working. So follow step by step guide and take all information in this post. We can’t all be with our family and friends all of the time, but that doesn’t mean you can’t ‘see’ them. As long as your relatives and friends have an Apple device they can use the FaceTime app and you can video call them, we’ll explain how to do that below. The great thing about FaceTime it is completely free to use. FaceTime calls are free because they use Wi-Fi or cellular data (rather than cellular minutes). This means that even if you are FaceTiming someone on their iPhone while they are away from home and not connected to Wi-Fi they won’t have to pay for the call (as long as they have enough data on their contract) all they need is a data connection for the duration of the call. 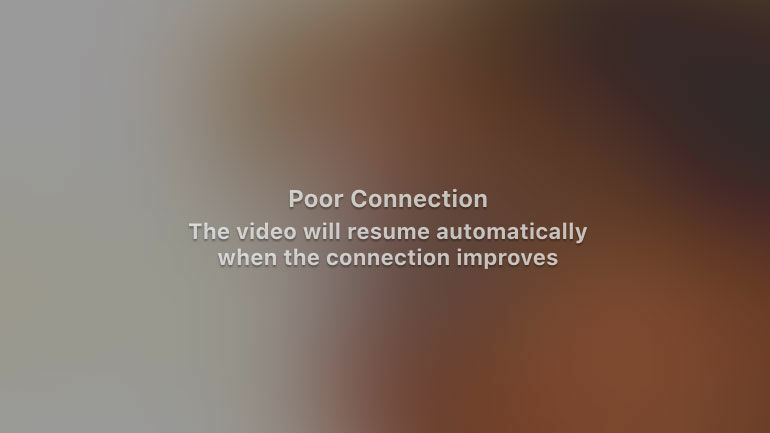 There are a few negatives about FaceTime though. You can only use FaceTime to call someone if they have a Mac or an iOS device that supports FaceTime (so that’s an iPhone 4 or later running iOS 4.1 or later, an iPod touch running iOS 4.1 or later, an iPad 2 or later, or a Mac running OS X 10.9.2 or later). That’s a lot of Apple devices, so chances are you are covered – but if the other party doesn’t have an Apple device, you’ll need to use Skype or another alternative to make a video call. 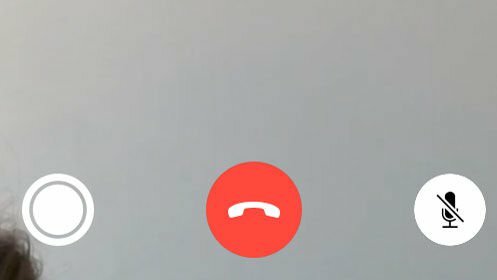 The person you are calling also needs to be signed into FaceTime and, if they are on a Mac they need to have FaceTime open. You and the recipient need to be connected to the internet. You need a 128-Kbps or better upstream and downstream Internet connection. If you want to make HD video calls you need a 1Mbps upstream and downstream Internet connection. You need a connected microphone. It’s likely that there is one built into your Apple device. If not, you could plug in a headset that includes a mic – like those that come with the iPhone. You both need an Apple ID. If you don’t have one got to Apple’s webpage here. 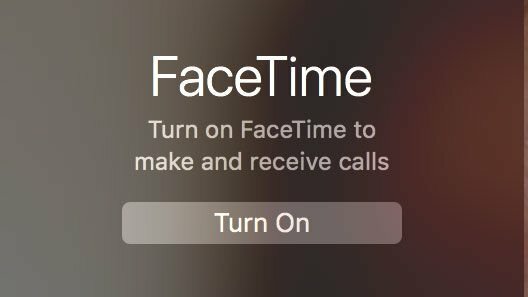 If FaceTime isn’t already turned on, click on Turn On. Wait while it signs you in. To determine how people can reach you click on FaceTime > Preferences. 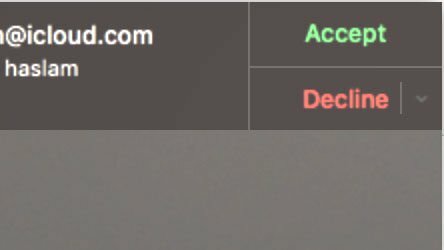 You can deselect any email addresses you have associated with the account if you don’t want them to be used for FaceTime (for example, you might not want people who have your work email address to contact you this way). If on the other hand you wanted to add another email address to this list then open System Preferences (press Command + Space and start tying System Preferences). 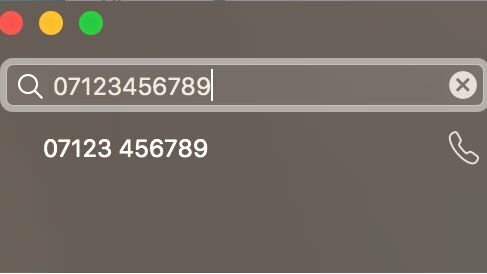 Here you can add and delete contact details which will subsequently appear in FaceTime Preferences. How do you FaceTime from a Mac to another Mac, iPhone or iPad? You both need to be logged in to FaceTime. You also need to make sure you both have a sufficiently good internet connection (see details above). Ironically you may need to call them first using your mobile or landline before placing the FaceTime call – or set a time to call in advance. The method for FaceTiming a person on their Mac is the same as if they were taking the call on their iPad or iPhone. Open FaceTime on your Mac. You can search for a person by typing their name into the search bar. When you do so FaceTime will search your Contacts file. Alternatively, you can add a number or the email address associated with someone’s Apple ID in the search bar. That number of email address will then appear below the search bar with the option toplace a video or audio call to them. You won’t be able to call someone using FaceTime if they aren’t signed into FaceTime with their Apple ID and password. You also need to make sure that the number or email address you are using is assigned to their FaceTime account. When you are ready to start the FaceTime call, click on the icon that looks like a video camera. If you just want to make an audio call click on the (i) and choose the handset icon. You also have the option to Message or Mail them. Open FaceTime. (The app must be open on your Mac to receive a FaceTime call). Make sure the person contacting you has the correct details – your mobile number or an email address that is associated with your Apple ID. When the person calls you you will see a notification on your screen, like the one below. It should give you an indication of who it is calling you (assuming you have their details in your contact file, or perhaps in an email). If you want to speak to them click on Accept. When you want to end the call click on the Red handset icon. You can choose to stop using FaceTime if you no longer wish to receive these video calls. In the menu at the top of the screen click on FaceTime > Preferences, then click Sign Out. To make or receive calls again, you need to sign back in. Find the particular caller that you want to block. Right click on their number and choose Block this Caller. 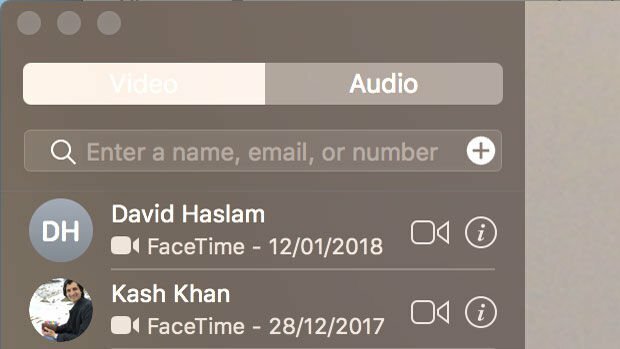 If you want to FaceTime someone you don’t need to have their mobile number, as long as they have set their FaceTime up to accept calls to their email address (see above for how to do that). Just enter the email address into the search bar – if the email address isn’t associated with an Apple ID, it won’t work. Click on the green circle in the top-left corner. This will make the image of the caller fill the screen – if they are on a Mac then you should automatically get a landscape view. To return to the normal view press escape. If they are on an iPhone or iPad and the view is in portrait you could ask them to rotate their iPhone or iPad so that you can see a landscape view. You can also move the picture-in-picture window (where you can see yourself) from the right corner so that it doesn’t cover some detail you want to see. Just click on the small window and drag it to a new corner of the FaceTime window. While you can’t change the orientation of your caller – if they are in portrait but you’d prefer to see them in landscape you will have to ask them to rotate their device – you can choose the orientation that you are seen in. Just hover over the picture in picture window and click on the rotation icon that appears, or rotate using your fingers if you have a trackpad. You can stop the video call window from getting hidden by other windows. Click on Video > Always on Top. Click on the yellow button in the top left of the window. This will minimise the window and pause the video – although the audio will continue. When you want to continue just click on the FaceTime icon in the Dock. To mute yourself hover the mouse pointer over the call window. Click on the Mute button that appears. In both scenarios you will still be able to hear the other person. If you want to change the volume of the call you can turn the volume up or down on your Mac. Click on Video or Audio. You an remove a specific call by right clicking on it and choosing Remove from Recents, or click on Remove all Recents at the bottom of the list. Open Contacts (press Command + Space and start tying Contacts). Find the person who you want to assign a ringtone to. Scroll to ringtone and click on the arrows to select a new one. During a video call you can take a Live Photo of the person you’re speaking with. Just click the white circle. The other caller will receive an alert that you took a picture. Can I FaceTime from my Mac to my iPhone? Yes, you can FaceTime from any of your Apple devices to another Apple device using the same Apple ID. So, for example, if you left your iPhone at home you could FaceTime it from your Mac in the office. Why can I not FaceTime? Check you and the other caller are connected to the internet. Check your Apple ID is valid by visiting appleid.apple.com. Make sure you have selected the checkboxes next to the email addresses and phone numbers that other people can use to call you in FaceTime. Sign out and back in to your Apple ID in FaceTime > Preferences. 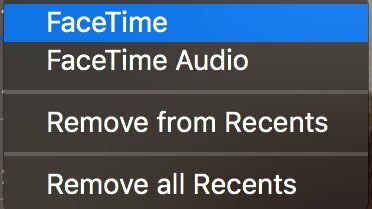 Click in the box beside Enable this account in FaceTime > Preferences, to turn off FaceTime, then click on Turn On FaceTime to turn it back on. Check that the correct location is set up in FaceTme. Go to FaceTime Preferences and beside Location choose the correct country. Check that the Date, Time and Time Zone are set correctly. Go to System Preferences > Date & Time > Set Automatically. Click on Time Zone and choose the nearest city. It needs to have the correct location – the region where your FaceTime account is registered should correlate with the location on your Mac or the wrong telephone number format might be used. Check that you haven’t blocked the caller, and that they haven’t blocked you. An active broadband Internet connection. No FireWall – if you or they have a Firewall they may need to enable certain ports. There’s more information about this here. Check that the caller hasn’t blocked you.